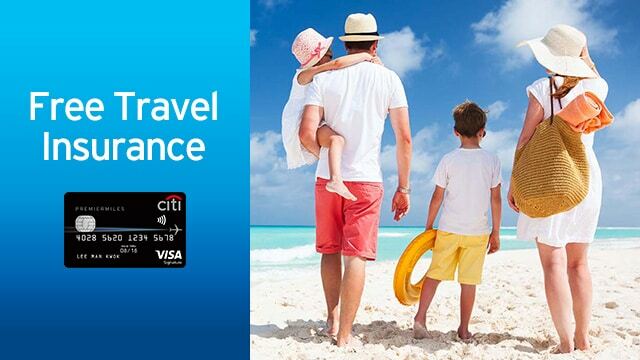 Pay in full or redeem* for flight tickets/ accommodation/ travel tours with your Citi PremierMiles Card, you and your family can enjoy free travel insurance. Optimal benefits are available for purchase at the time of your upgrade to the Premier Plan. *Please refer to Terms & Conditions of Free Travel Insurance clause 2 for eligibility.